I haven’t walked much on the High Line this winter, and I specially try to stay away from it at night, when there could be hidden ice or slippery conditions, or when isolation could make for unsafe circumstances. But this past week I was at an opening on 28th Street and decided on the spur of the moment to just walk the few blocks along the elevated park until I reached 23rd Street and could walk down to a bus. 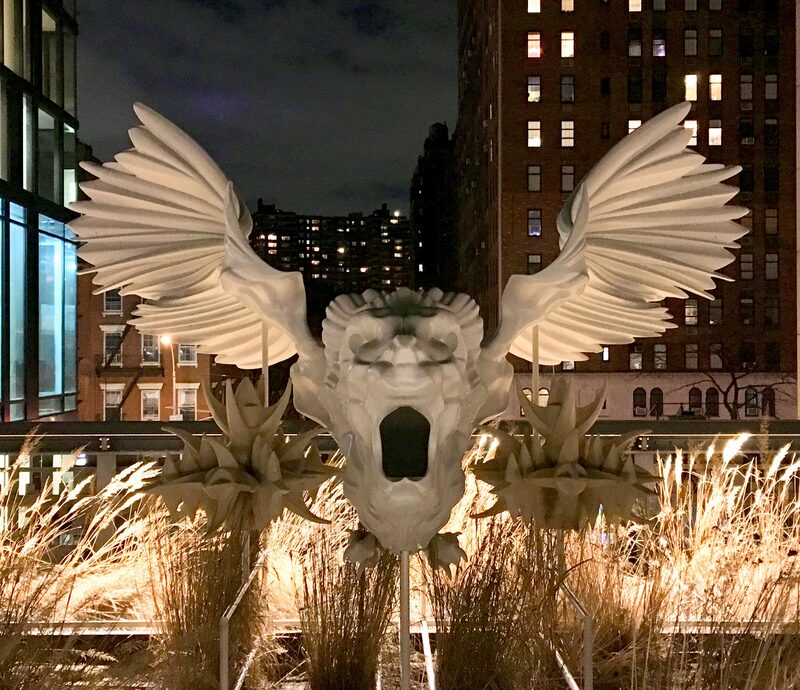 What scary fun it was to come upon this sculpture waiting in the semi-darkness at 24th Street! This imposing figure is called Sphinx Joachim, and he is creation of artist Marguerite Humeau (b. 1986, France). Humeau is fond of using her artworks to weave factual events into speculative narratives, enabling unknown, invisible, or extinct forms of life to erupt in grandiose splendor. 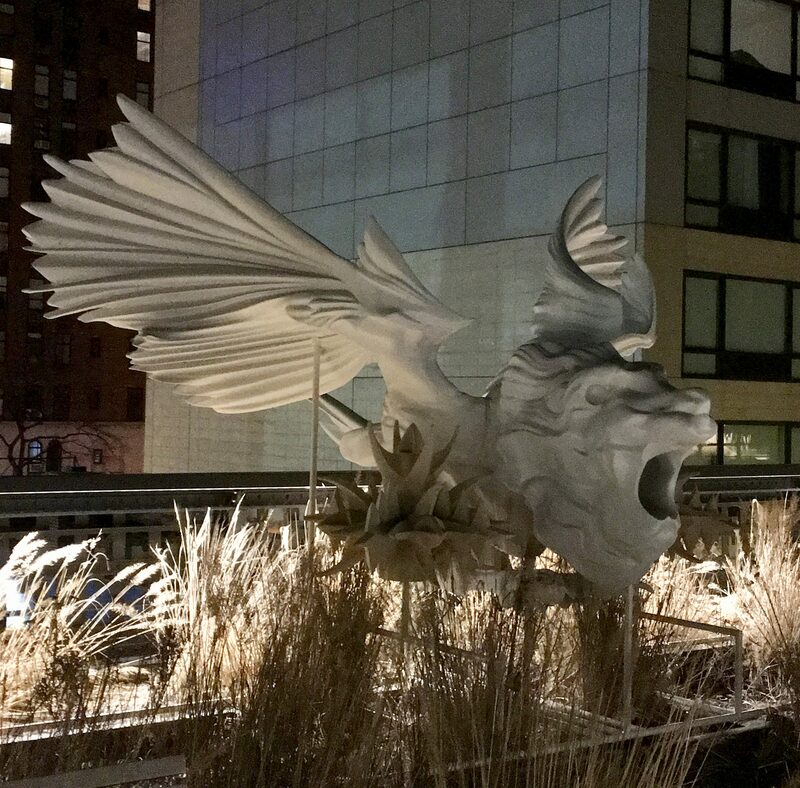 For the High Line, Humeau has proposed a sphinx as a winged lion that protects the site against potential enemies. Equipped with motion detectors, Sphinx Joachim roars as an alarm every time it senses a human presence. Scary, especially in the dark! 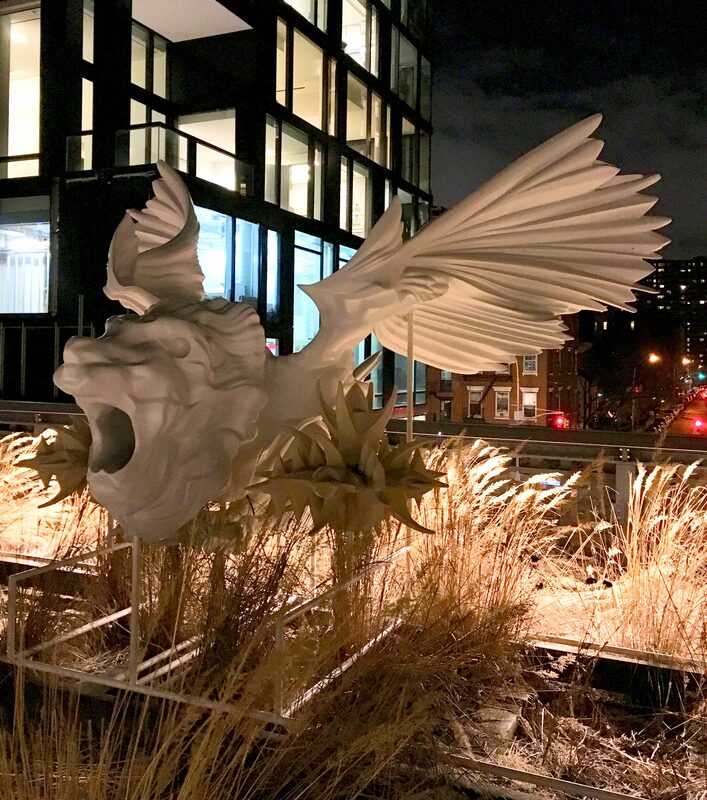 Sphinx Joachim is part of the High Line’s Mutations series and will be on display through March, 2018. ← Valentines Day Window Display!